What Are the Best Inbound Marketing Tools For You To Be Using? Inbound marketing tools play a big part in the process of executing your strategy effectively. Now, of course, the first step you need to check off is whether or not your online marketing is up to scratch. Having the right inbound marketing tools is a crucial part of ensuring your vision and goals for the strategy is able to be achieved. We previously spoke about marketing automation and lead nurturing in our previous article where we mentioned some great CRM tools like ActiveCampaign and HubSpot. A CRM tool, or customer relationship management tool, is one of the inbound marketing tools and software that allows you to manage and process incoming leads and use various features to continue marketing to them to make a sale. HubSpot is the market leader of CRM tools and is without a doubt the most popular tool amongst many businesses, big and small. This inbound marketing tool allows you to analyse your leads through their behaviours and interactions with your brand and be able to reach out at the perfect time. ActiveCampaign is also another CRM and marketing automation tool used by a lot of companies and agencies for its lush features and ability to shave precious time on lead nurturing campaigns. Having inbound marketing tools that can do deep dives on your competitors to help inform your strategy is a highly important part of the process that can make a huge difference in meeting your goals. SpyFu, for example, is an excellent inbound marketing tool that allows you to get competitor research on any website to show every keyword they’ve bid on, organic rank, and ad variation they’ve been running across the last decade. I’m sure you can imagine the potential of having this type of information when executing inbound marketing campaigns. SEMRush, is an all-in-one marketing toolkit that allows you to analyse the SEO, paid traffic, social media, and content & PR of your competitors – or use it to keep track of your own business. With over a million users and big-name clients like eBay, you can see just how powerful and popular this tool can be. Making sure your social media pages are up to scratch and are running as efficiently as possible is a foundational step these days and an important aspect of your online marketing strategy as a whole. Social media management platforms like Buffer also play an important role in the inbound marketing tools you use to execute your strategy. Buffer allows you to plan out the social media outreach of your content months in advance (if you need to) and have everything scheduled to save you time from doing these tasks on a daily or weekly basis. This allows you to execute your content strategy in advance and build your social media following accordingly. When building the content that goes into your inbound marketing strategy, there’s a bunch of great inbound marketing tools you can use to spy on competitors in your niche and get ideas on what content is trending amongst your audience. Google Trends is a great and easy-to-use tool, which isn’t as daunting as the Keyword Planner by Google. 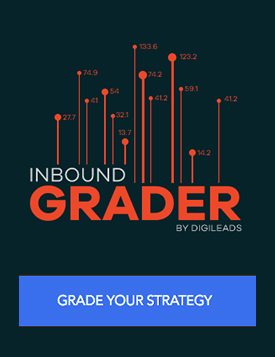 This makes a great addition to your inbound marketing software as it allows you to very simple gauge the interest, over time, across certain topics and keywords in your niche. You even get shown a nice little graph to visualise whether a topic or keyword is on the rise, in terms of being searched, or if an alternate keyword performs better. It can also be used to keep an eye on any general news that is trending and build content on the fly around that. An excellent example of this is when Oreo created this Twitter post during the Super Bowl blackout that ended up going viral. BuzzSumo is another powerful content research tool for your inbound marketing that instantly delivers tonnes of popular content when you search for a niche. This allows you to get an idea of what content your audience likes to engage with and share on social media. You can even analyse specific domains on BuzzSumo and get detailed reports on your competitors to find out exactly what content types are the most popular for them, what day of the week they get the most shares, and more. We’ve taken a look at a handful of our favourite inbound marketing tools here today which are some of our favourites that we use on a daily basis for clients. A perfect strategy can actually be successful by using wrong and inefficient tools in its execution, which is why we advocate for making it a priority to get the right inbound marketing software for your campaign. Are you using the best tools for your online strategies? Take our free online marketing assessment to find out.